We are here to help make the job of choosing your new kitchen or windows easy and affordable. Regardless of project size, scope or budget, Indisco Kitchens & Baths integrates your priorities and ideas into the design to create and environment that is functional and reflects your style. Creating a home that reflects an individual's tastes and personal style is my passion and goal. Let us solve your design dilemma and transform your home into beautiful and inviting space! Interior design and decorating is something everyone should be able to access based on their needs and budget. We provide great, affordable design for residential homes and commercial office space. *KraftMaid® Cabinetry Authorized Dealer* Indisco Kitchens and Baths is a family owned business that has served southern Maine for 40 years! Our expertise is not limited to designing only kitchens and baths. More and more we are working on entertainment areas, home offices, living areas, and designing for those who plan to stay in their current home for years to come. Also within our portfolio are multiple unit commercial projects, dental and veterinary offices. Regardless of project size, scope or budget, we integrate your priorities and ideas into the design to create an environment that is functional and reflects your style. Our customers continue to be our inspiration to offer beautiful, quality products, incomparable design, and exceptional, attentive customer service, now and well into the future. Whether your focus is sustainability, health, functionality, aesthetics or something in-between, our mission is to help you achieve your goals while making the process as easy & enjoyable as possible. Our process begins with your inspiration. Working as a team, we rely on innovation and experience to create beautiful kitchens that truly enhance and reflect your lifestyle. We are a full service kitchen & bath dealership. We offer a wide array of products and services for your remodeling project. You can visit our modern showroom in Saco to explore all the possibilities. Along with twenty years of experience, Karen brings her passion for design to every job. Her work combines an artist’s knowledge of color, space & texture with a trained designer’s eye & experience. Landing / design works with clients to create their ideal living space through renovation, re-imagination and innovative design. Hancock Kitchen Design Showrooms Searching for the right place to start the process of designing a new kitchen or renovating an existing space? Hancock Lumber Kitchen Design Showrooms are here to help make the job of choosing your cabinetry, countertop, tile, hardware, and more easy and affordable. We have experienced and talented kitchen designers to assist you with your projects. We strive to provide the right product for each individual’s need at the right price for the budget…for every project, every time. Your experience with Hancock Lumber Kitchen Design Showroom promises to be unique. View our quality products and work with our professional people to bring your space to life. 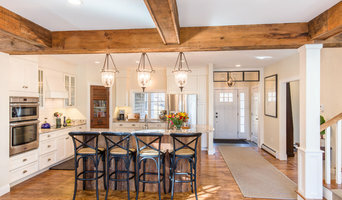 Maine's Premier Kitchen & Bath Design Firm - 10X Best Of Houzz Winner! Award winning Kitchen & Bath Design firm with more than 22 years of design experience. We've completed projects from Washington, DC thru the Midcoast of Maine. Wysteria Design is a full service interior design and decorating firm servicing NH seacoast and its surrounding towns. Our services range from new construction design to partial and complete home or room renovations. Wysteria Design also offers kitchen and bath design and provides complete lines of semi custom or custom cabinetry to suit your needs. Whether you are looking for some assistance with paint colors, furniture placement, personalized shopping, or architectural details and computer aided drawings, we would love to hear from you. 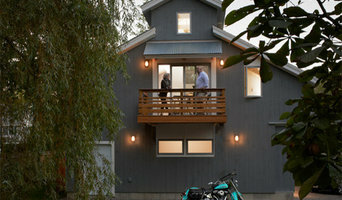 Follow this link to see one of Wysteria's kitchens chosen as a feature in a Houzz editorial: <a rel="nofollow" target="_blank" href="https://www.houzz.com/ideabooks/115050188/list/new-this-week-4-incredibly-functional-compact-kitchen-islands">https://www.houzz.com/ideabooks/115050188/list/new-this-week-4-incredibly-functional-compact-kitchen-islands</a> Follow this link to see one of Wysteria's sunrooms chosen as a feature in a Houzz editorial: <a rel="nofollow" target="_blank" href="https://www.houzz.com/ideabooks/82974203/list/trending-now-15-sunrooms-to-relax-in-this-spring">https://www.houzz.com/ideabooks/82974203/list/trending-now-15-sunrooms-to-relax-in-this-spring</a> About Becky: Fueled by a passion for creativity, I am an interior designer with an eye for thoughtful and personalized spaces. Growing up as a kid, I had a knack for creative projects like painting, drawing, and sculpting. When I was in high school, I won the 'most creative' award in an interior design course which is when I started to truly consider design as a career. Years later, I went to Rittners School of Floral Design in Boston. This experience helped me to start Wysteria Design, which began as a floral design business out of my home. While I still enjoy arranging flowers for friends and family, doing floral consultations inspired me to pursue my true goal, to earn my Interior Design degree and start an Interior Design business. Most of my projects entail complete room makeovers, including paint and furniture selection, layouts, and accessories. I am known for mixing metals, coordinating patterns, and adding pops of color to help transform moods and generate positive emotions in a space. I enjoy getting to know a client and thoroughly understanding their personal style. I take great pride in altering my clients' space to better fit their needs both through function and aesthetics. Technical expertise & high quality materials create unique designs tailored to your personality, tastes, needs and wants. We are here to help you with all phases of your design or remodel project.